Many businesses will argue that because they’ve invested in a strong presence on social media, they can safely categorize themselves as a social business. Perhaps they have hired a dedicated social media professional in the marketing department who manages all of the company’s social media outreach, or even a team of folks who blanket social media 24/7. But simply having a social media presence isn’t what makes a business truly social. In fact, businesses who invest in social media but don’t understand the steps to build a truly social business are actually wasting their time and money. 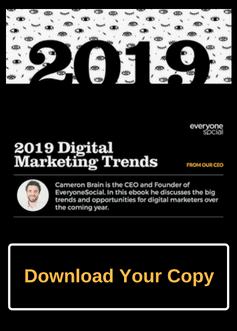 While the importance of social media has been taken more seriously by companies in the last few years, many (particularly in the B2B space) are not focusing much attention as they should to social. It is understandable when you realize how fast tech, marketing, sales, etc. are innovating and changing. However, social media has only continued to grow and become important, especially for B2B companies to reach their target buyers and customers more efficiently. More than ever, B2B needs to focus on becoming a complete social business. As mentioned in the intro, just because your company invests some time on social media and sharing, doesn’t make your company a social business. So what does it actually mean to be a social business? Being a social business means your company implements social technologies, strategies, and processes that span across the full organization. Thus, creating a collaborative and connected environment between everyone from employees to customers, to prospects, to board members, etc. Note: While the focus is on social media networks, it’s important to recognize it the definition can include building a community and collaborative environment among all those groups as well. While having your company maintaining an active presence on social media accounts is good, being labeled and known as social business goes far beyond that. Why is Being a Social Business Important for B2B? Selling your product or services as a B2B company can be challenging and is why social media plays a huge role in overall company growth. Whether that is growing total leads, revenue, average deal size, etc. Being a social business as a B2B company is important. Those numbers should really pop-out at you. And those are just the tip of the iceberg as there are tons more insights of social media and B2B. But as you can see, social media and other online outlets are where your buyers are active, researching, and connecting with others the most. While your company may prioritize a lot of other initiatives, focusing on social is crucial for the success of B2B. Becoming a social business is not necessarily hard either, but without taking it seriously and following through with these below points, your company can be missing out on growth opportunities. How can your company become a social business? Well, there are a few ways to truly embrace being social. Many businesses operate under the assumption that if they let their employees loose on social media, they will wreak havoc on the brand. So businesses restrict access to a small social media marketing team and rely on employee email blasts to trot out their news, press releases, recognition, and other updates that go…nowhere. But social is not just the marketing departments job for a social business, it’s everyones. Employees are key assets in building awareness of a company’s image and customer base. To empower them to share their company’s content, don’t restrict their Internet access at work, and establish guidelines for how to discuss your company on social media. You also should encourage your most gung-ho, savvy employees to move to the next level by having them become thought leaders for your company on social media. 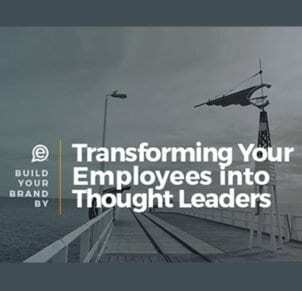 Because each thought leader uses their own voice and storytelling style, your employees have the potential to become important brand ambassadors for your company, building a personal following that directly elevates your company’s overall profile and standing with customers. To have a successful social business model, your company needs to create a culture of open collaboration and communication. This simply means, encouraging employees to contribute to social ideas, the social messaging, and give them the freedom to share online. While your marketing department can lead the initiative, they should not have to bear the entire weight of social media marketing. Employees are active online, many have colleagues and connections who are not aware of your services or product. Need some back-up? According to MSLGroup, brand messages reached 561% further when shared by employees vs the same messages shared via official brand social channels. Getting your company’s employees active in social sharing, contributing ideas, and leaving feedback is through “employee advocacy” and is a huge aspect of becoming a social business. While some company initiatives can potentially be successful without leadership support, becoming a social business will not work without it. More so than any strategy or social technology, having the support and enthusiasm for social needs to consistently be present from company leaders. They are key to setting the tone, developing a social culture that employees care to be involved with, and sparking the collaboration needed for success. If your company’s leaders don’t value or buy-in to being a social business, any initiative will not fully work, employees won’t feel it matters, and quickly the idea of being social will crumble. Great examples are leaders who spend time and money investing in multiple aspects of being a social company. Yet, just as important, they are active participants and highly visible on their own social media accounts. It’s a great way to get the ball rolling and shows the rest of the company that it’s being taken seriously. With social media, embracing and investing in the necessary online tools for success is a major component to being a social business. Pending the size of your company, many social tools are either budgeted from the social media departments or just marketing. Yet, this can limit the true collaboration and tech stack needed to take advantage of social insights. While social media scheduling tools are essential, being a social business takes that one step further. 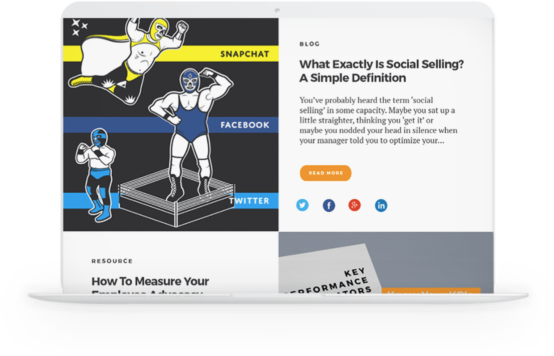 Utilizing employee advocacy or social selling platforms like–ahem–EveryoneSocial, but even using tools for collaboration like Slack, Basecamp, Trello, or marketing automation tools like HubSpot, Pardot, Marketo, etc. We think of social business as just social media, but remember it’s also about community and collaboration, to which all the aforementioned tools contribute too. Too many times, companies ignore digging into social further and never really evaluate it. We think of social as just posting and occasionally interacting with customers who may send questions to company handles. But to be a true social business, your company should be analyzing what is working and what is not. What are competitors or others in our industry posting/doing? What types of social posts work best for us? What content is resonating better and gaining more interactions online? Are other employees getting involved in collaboration and social posts? Being a social business is more than just social posting and never analyzing. From these questions and insights, your company should be adapting the social strategy and ensuring your entire company is learning from social media insights to better build a relationship with prospects and customers. Now that you understand what being a social business means and how your company can become one, it’s best to provide some real-world examples. Below you’ll find some social business examples that we’ve personally worked with and whom we think has been very successful in their initiatives. Dell is truly a pioneer in the world of being a social business and is one of the best examples. In addition to having top-level executive support for their social programs from its inception, they were the first to encourage employees to find and share their own content in addition. Learn more about Dell’s initiatives in becoming a social business, how they did it, and how an employee advocacy platform enhanced their social results. Get your resource. Genesys not only saw the value in being a social business but was one of the first, if not the first company to take employee advocacy efforts into the sales department. 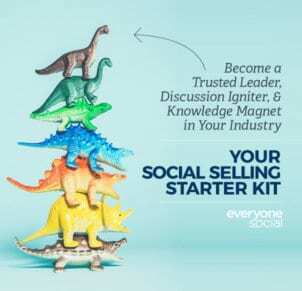 Since that time, Genesys has shown how social selling should be done and the lift it can drive. In 2010, Kelly Services leadership hired the Altimeter Group to evaluate their social media marketing strategy. 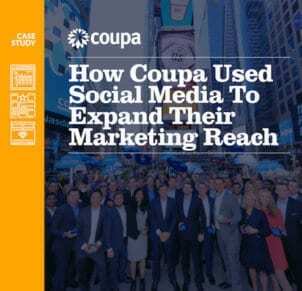 They wanted to put a social system in place that would set the foundation for a modern marketing strategy and that would attract new business and new talent. From there, they have escalated employee advocacy and value social provides for recruiting and HR. Social media is not new, nor is it going anywhere. In fact, it’s the most effective way to communicate and engage with those most important to your B2B company (buyers, customers, employees). Many B2B companies want to embrace the social business label, but many are far from being one. By understanding the importance of social, how it can affect your business results, why employees matter to social sharing and branding and following some of the steps above, your company will be well on its way and will reap the benefits. 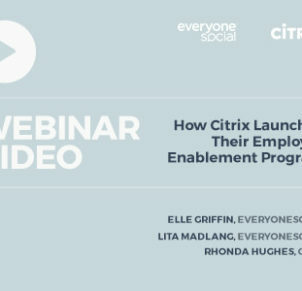 Ready to become a social business and get employees actively engaging online on behalf of your company? Learn how EveryoneSocial can amplify your social engagement, lead pipeline, brand visibility and win rates.